GU Chomps: These things are by far my favorite of the GU products. They are like a cross between gummy bears and jello shots, how can you go wrong? These made for a great mid-day snack when I started feeling a bit sluggish on a long paddle. The fruity flavors were more refreshing than a handful of chocolate and peanuts, especially on an 85 degree day. Watermelon and Strawberry were our favorite flavors, but blueberry-pomegranate and orange were not far behind. GU Energy Gel and Roctane Ultra Endurance Gel: A few years ago I tried a few different energy gels that were in our triathlon race packets. They were freakin' nasty. So, I have avoided them for quite a while. GU gets these right. No matter what, the texture is always going to be a bit strange to me, but these things taste awesome. 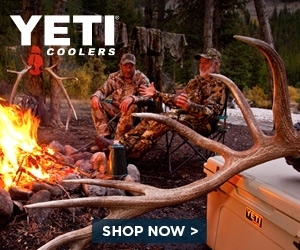 With about 16 different flavors to choose from, you will find your favorite. You may be surprised at which one it is though. The Mint Chocolate tasted like a gooey Andies' Candy (REALLY GOOD!!!) and the Vanilla Orange was a Dreamsicle shot. They have two formulations to choose from, with the Roctane packing a bigger energy punch than the original energy gels. 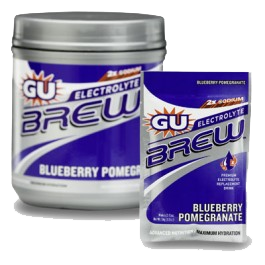 GU Electrolyte Brew: When you are filtering lake water in the back-country, the taste leaves something to be desired. 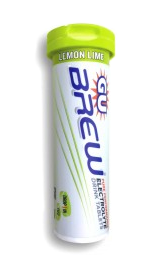 In addition to masking the "unique" flavors of your local water source, GU Brew helps pump you full of Electrolytes to keep your body running at peak levels. These all tasted really good and dissolved quickly and completely. If you are hitting the gym, pair this up with the Recovery Brew to help you replenish what you lost during your time on the treadmill. 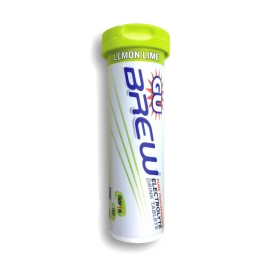 GU Brew Electrolyte Tabs: One of the problems with bringing drink mixes into the back-country is simply the amount of space they take up. Enter GU Tabs. One tube holds 12 tabs, each of which mix with 16-20 ounces of water. These flavors are lighter and more subtle than the Brew Packets, but are great for adding a little taste and replacing those nutrients lost during exercise. I noticed a bit of an "alka-seltzer" taste, but it wasn't enough to dissuade me using these again and again.